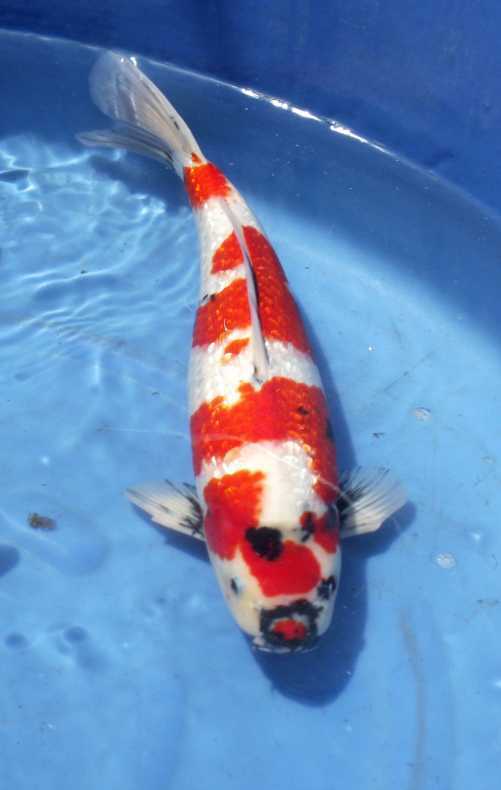 This is a photo of the fish when it came from Japan in October. My kind of showa...sparkling, with a kuchebeni or red nose...lots of white...Hi nicely placed...I love it! Subject: Re: Ginrin Showa Sakuma.